works to empower your company and make it widely known on the ever-expanding Internet. you’ve come to the right place. You don’t have to do a thing. We handle everything from beginning to end. Just tell us your business goals and we will help you achieve them. Since 2009, our agency culture fosters long term relationships with a dedication to delivering the highest level of customer service. At the end of the day what matters most is generating a positive ROI on any service that we provide. Stop losing customers to your competitors and accelerate your business growth with us. Be sure to watch our video testimonials below from a few of our current satisfied clients! Not all websites are created equal. According to the major search engines, a website that is visually appealing as well as user-friendly is ranked higher in search results. 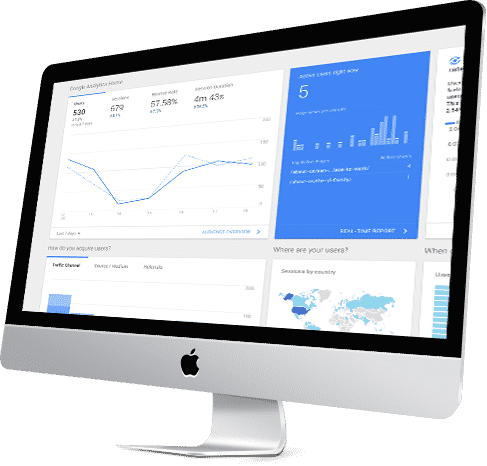 Citywide's team of online marketing professionals weave website design and search engine optimization together to provide results that help you triumph over the competition. Our carefully crafted solutions have assisted businesses just like yours with landing page design, e-commerce layout design, and custom designs for WordPress platforms. We would love to work with you and learn more about your project. Let’s make it happen. If you are a business looking to improve your rankings on search engines, you have come to the right agency. Through our proven white hat SEO tactics, we are confident in our capabilities to get your website RANKED. Putting together an effective and strong strategy takes time and effort, To gain maximum exposure, lean on us to determine what it will take. Local SEO, Organic SEO, video SEO is what we specialize in. When being found online matters, we are here every step of the way. Call us today to receive a FREE SEO audit report delivered to you. We track & improve your ROI. We Don’t Just Get Clicks, We Get Results! Citywide SEO helped my business achieve high rankings quickly and efficiently. From our first introduction I knew I was working... read moreCitywide SEO helped my business achieve high rankings quickly and efficiently. From our first introduction I knew I was working with professionals; Jesse is an expert in the field and impressed me with being incredibly knowledgeable, reliable, and consistently available for any questions and concerns I had. He was able to optimize my website and produce results that showed his SEO services were working continuously throughout the process. As anyone considering SEO services knows, it takes a lot of work to improve your standing over time. I have been working with Citywide SEO for a couple of years now and have seen a continuous growth in leads and impressive lead conversion compared to what I was seeing before I employed their services. Not only are our sales booming, the increased leads, sales, and position against our competitors is improving the entire business structure.